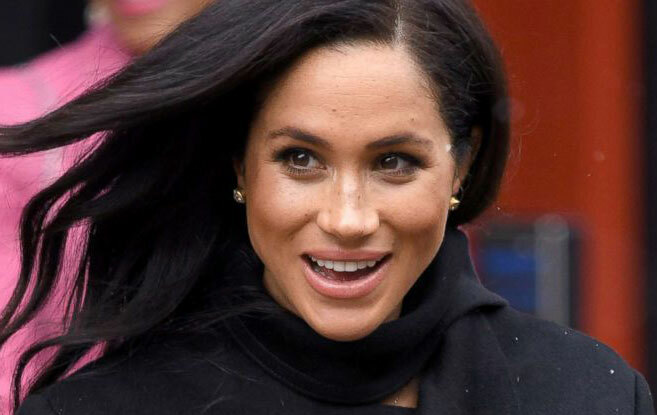 As Meghan Markle nears her due date, tabloids and sources have been stirring about what her Royal birthing plan will entail. In an interview with Vanity Fair, sources close to Markle and Prince Harry said that the Duchess of Sussex is planning for a “natural birth,” which we can assume means a vaginal delivery sans pain medication — a.k.a an epidural. “Her mother is very into anything that is holistic and natural, and having been brought up with yoga and mindfulness, it’s all very much part of Meghan’s birth plan,” the source told Vanity Fair. In preparation for delivery, Markle has allegedly hired a doula, started acupuncture sessions to “boost blood flow to the uterus,” and learned HypnoBirthing techniques. If you’ve never heard of HypnoBirthing before, it might sound completely woo-woo, but it’s actually a common technique that’s popular with people giving birth, with and without drugs. HypnoBirthing entails self-hypnosis and relaxation techniques that you can implement to feel better during labor, Marie Mongan, a hypnotherapist and creator of the Mongan Method HypnoBirthing told Refinery29. At its core, HypnoBirthing is based on “the belief that every woman has within her the power to call upon her natural maternal instinct to birth her babies in joy and comfort in a manner that most mirrors nature,” Mongan wrote in her book. The point of HypnoBirthing is to essentially learn how to reframe pain as something positive, so that you’re prepared for the sensations of childbirth, and ready to cope with the pain, Mongan told Refinery29. This involves a combination of deep breathing techniques, visualization, and meditation prompts. As you can imagine, this takes practice; if you want to try HypnoBirthing techniques, you have to take classes to train your mind to go quickly into a deep relaxation state. Deep relaxation and hypnosis might give you Get Out vibes, but it’s important to note that HypnoBirthing doesn’t hypnotize you to a comatose state, Mongan said. You’d remain totally awake during HypnoBirthing, it’s extremely relaxed. Some people argue that, compared to other forms of childbirth education, HypnoBirthing doesn’t include enough discussion about some of the dangers that can occur during childbirth. That said, lots of people learn HypnoBirthing techniques as one part of a birth plan that includes other support, such as doulas or certified nurse midwives. So if you’re expecting — whether you’re birthing a Royal or not — HypnoBirthing (sic) might be worth looking into if you’re hoping to have an unmedicated birth.